Hey, Mrs. Library Lady! : Michigan eLibrary (mel.org) - a go-to resource for Michigan residents! Michigan eLibrary (mel.org) - a go-to resource for Michigan residents! I admit that I LOVE Google and find myself going there first when I need to look for something quickly, but there are times when it is important to dig a little deeper in my research toolbox to find resources that are a bit more academic. 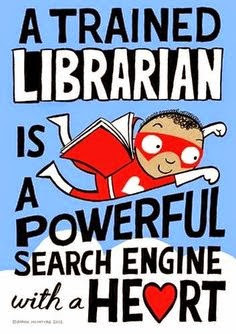 This is when I head to the Michigan eLibrary (mel.org) - the jackpot for all things research based. With a wide variety of specialized and general reference databases, users will not be disappointed! Michigan eLibrary has been around for years, but since it's been recently updated, I thought it might be time to take another in-depth look around the site. Watch my introduction video to see some of the highlights of this amazing resource.